Yemi Oyeniyi, a 33-year-old auto-mechanic residing in Abeokuta, Ogun State, has reportedly absconded after his wife delivered triplets. We learnt the family already had two children before the triplets. Oyeniyi was said to have been very uncomfortable after seeing the result of a scan which had earlier shown that his wife was expecting triplets. His wife delivered the triplets on Monday with their naming ceremony taken over by the family’s church members. The children were all females. Speaking to reporters, Esther Oyeniyi, 27, the mother of the triplets, said her husband’s behaviour changed when they received the results of the scan on June 3. She said it became so worrisome that she had to relocate to the church at the Okeyidi area of Abeokuta. 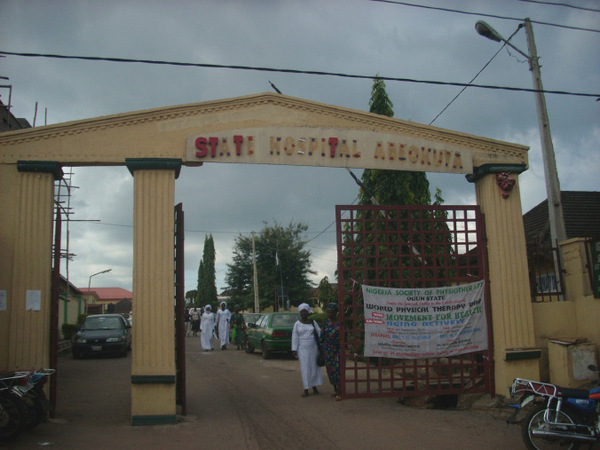 Narrating her ordeal, she said she was brought to the State Hospital, Ijaiye, Abeokuta by church her authorities for admission on October 19 and later put to bed on October 29. She said her husband’s mobile number has remained switched off and her church members had to organise the children’s naming ceremony. Yemi Oyeniyi’s family who reportedly live in Iganna town, Oyo State, also refused to show up to see her.